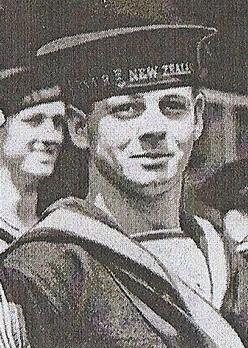 "HULL, GEORGE B., ABLE SEAMAN "
HULL, Able Seaman, GEORGE BRUCE, W/3469. H.M.S. Neptune. Royal New Zealand Naval Volunteer Reserve. Son of William Ernest and Margaret Elizabeth Hull, of Miramar, Wellington.